Free F9 Training event in Phoenix, Arizona May 9th-10th 2018. Thread: Free F9 Training event in Phoenix, Arizona May 9th-10th 2018. Speakers:*Craig Harrison; inventor of F9 products and the F9 TEAM, Jerry McMillen of Sirocco Water Recovery Systems, and Ron Musgraves. This Class is a comprehensive, HANDS-ON Maintenance Cleaning, Acid Washing, Neutralization, Vertical & Flatwork Rust Removal, Oxidation Removal and Concrete Restoration*FULL 2 day course which includes Water Recovery Methods. This Class focuses on many of the following: Hard surface maintenance cleaning*(keeping those surfaces cleaner longer with F9 Groundskeeper), hard water stain removal, low speed floor tool applications, vertical and flatwork rust removal, prepping concrete for a concrete coating or stain/seal, covering up surface cleaner marks, blending in damage from wand/turbo tip or deep surface cleaner etching and more! You will learn the Front 9 Restoration unique approach to restoration and maintenance, which was developed over many years and millions of square feet of cleaning by F9 creator, Craig Harrison. 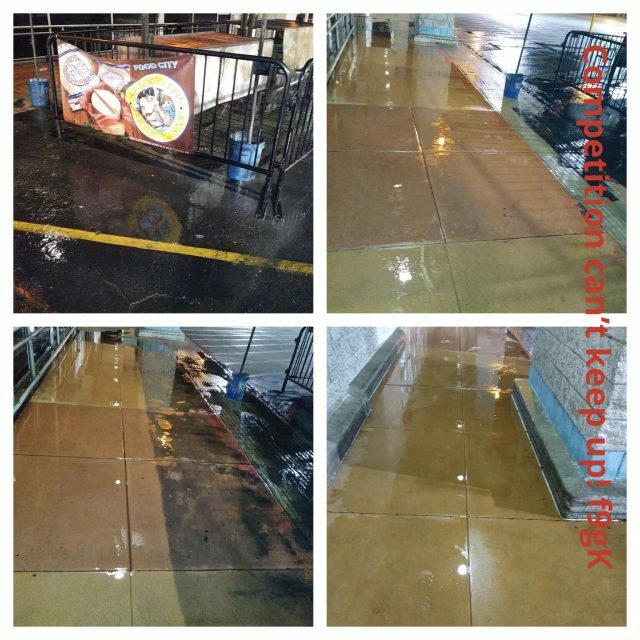 This process is something that can be applied to concrete, bricks, pavers, tile, stone and may other hard surfaces to achieve mind blowing results and separate your company from your competition! These techniques are unique to Front 9 Restoration and you will not learn these secrets anywhere else in the world. Learn how to always get your surface cleaner than your competition… and provide a surface that stays cleaner longer! All hands on hours count toward UAMCC credit hours. 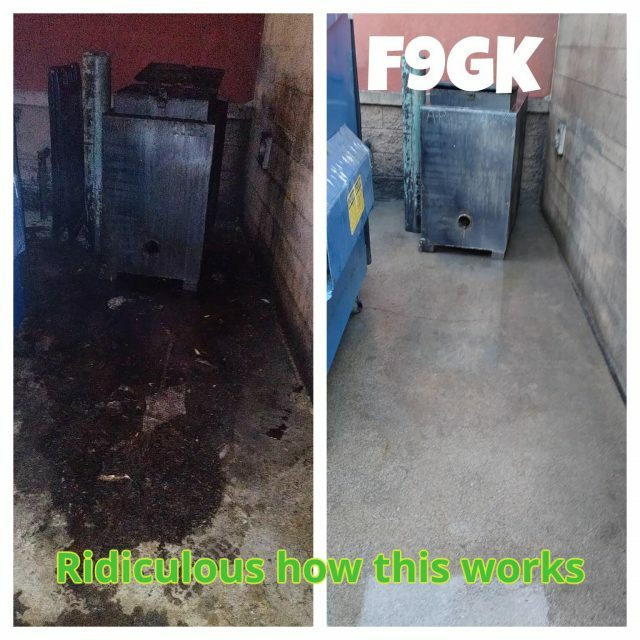 Grease & Oil Removal, Floor Tool Uses, Battery Stain Removal, Water Recovery Methods. Hard Water Stain Removal, How to Remove Etch Marks, Prep for Coatings and Seal/Stains. F9 is hosting a FREE training event!! This event is 2 days filled with education, training, hands on demos, and expert speakers!! Get registered today and get excited!! F9 is hosting another fantastic FREE training event!! Learn from highly skilled speakers and hands on demos! Get involved, get educated, and get registered HERE! Join the UAMCC at this fantastic FREE training event being hosted by F9!! Get registered today!! F9 is back again with another FREE training event!! Come experience this 2 day training in Mesa, AZ!! Learn from hands on demos and hear from talented speakers such as Jerry McMillen, Ron Musgraves, and Craig Harrison himself!! Craig Harrison is hosting another fantastic FREE training event coming to you soon! Join us in Arizona on May 9th & 10th for two days worth of FREE training!! Get in on the action and learn from hands on demos! What are you waiting for?! Get signed up today! Craig Harrison, the owner of F9, is hosting a fun filled training event!! This event is completely FREE! Join us in Arizona for hands on demos!! Craig Harrison, Mr. Rust, is hosting a FREE 2 day F9 training event!! Join us for 2 days in Mesa, Arizona for education and hands on training all for FREE! Hear from talented speakers like Jerry McMillen and Ron Musgraves!! Craig Harrison is the master of Rust! His products mixed with his teaching skills is an unbeatable combination! Check out his FREE 2 day training event in Mesa, AZ to learn how to use his products and knowledge to benefit your business! Craig Harrison is hosting an incredible FREE F9 training event! This FREE event takes place on the 9th & 10th of May! It's not too late to sign up!